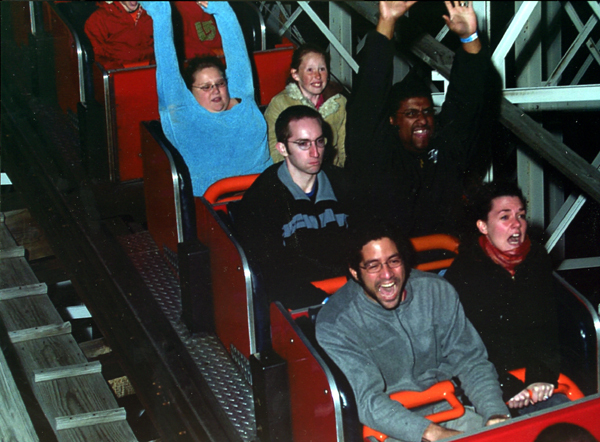 The guy in the photo booth said that was the least he had ever seen someone having having on the roller coaster. Apparently my ability to not crack a smile at the drop of a hat, or when I knew I was passing the cameras, left an impression. Next time I guess I will just stick out my tongue or make a funny face.